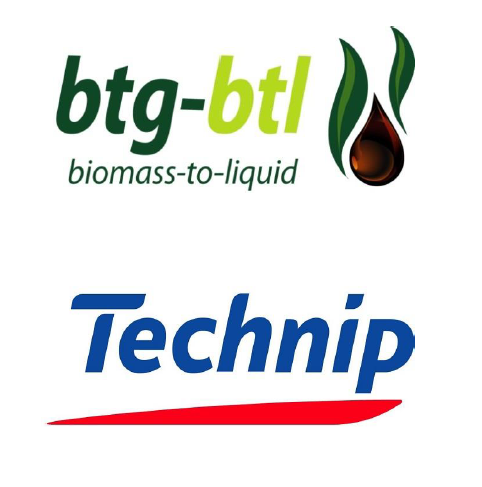 Technip announced today that it has signed an exclusive cooperation agreement with BTG BioLiquids B.V. (BTL) to provide EPC(1) services for its modular pyrolysis plants. The plants will be based on BTL’s Fast Pyrolysis Oil(2) (FPO) technology which converts biomass to oil through a rapid pyrolysis process. The agreement combines Technip’s global strength in technology, engineering, procurement and construction with BTL’s experience in the design and commercial operation of one of the world’s first FPO production facilities. Using clean wood as feedstock, the facility has been in operation since 2015 in The Netherlands. Uses of FPO include heat, power, transport fuels and potential bio-based chemicals. Technip and BTL will also collaborate in the development of commercial uses for FPO as renewable fuel and petrochemical feedstock. The agreement will be managed by Technip’s operating center in Zoetermeer, The Netherlands, which has significant technology and EPC experience. The center is part of Technip Stone & Webster Process Technology, which looks after Technip’s expanding portfolio of onshore process technologies in petrochemicals, refining, hydrogen and syngas, polymers and gas monetization. Stan Knez, President, Technip Stone & Webster Process Technology, stated: "This partnership with BTL will enable Technip to take our development further in a market which is of strategic importance to many of our clients. It will also allow us to better respond to future “green” projects, linking biomass with the petrochemical and refining industries." (2)Unlike traditional biofuels which are produced from edible feedstocks, new generation biofuels are produced from lignocellulosic materials such as straw or wood waste. The fast pyrolysis technology mixes biomass particles and hot sand in a reactor which transforms the material into pyrolysis oil. This oil can be used as a sustainable alternative to fossil fuels for the production of renewable energy and chemicals. (3)A Dutch subsidy program in which, via Top Sector Alliance for Knowledge and Innovation (TKI), the Dutch Ministry of Economic Affairs stimulates private-public cooperation between research organizations and companies by means of a surcharge for the implementation of programs to encourage private-public cooperation. Technip is a world leader in project management, engineering and construction for the energy industry. From the deepest Subsea oil & gas developments to the largest and most complex Offshore and Onshore infrastructures, our close to 32,500 people are constantly offering the best solutions and most innovative technologies to meet the world’s energy challenges. Present in 45 countries, Technip has state-of-the-art industrial assets on all continents and operates a fleet of specialized vessels for pipeline installation and subsea construction. Technip shares are listed on the Euronext Paris exchange, and its ADR is traded in the US on the OTCQX marketplace as an American Depositary Receipt (OTCQX: TKPPY). by filing international patents and demonstrated it by building the first commercial scale plant in The Netherlands.